I have been lucky to call Joe Sanfelippo and Tony Sinanis friends for a few years now. I have watched as they have taken their amazing ideas from theirs schools and districts and amplified them into the world. I have seen how their words and through leading by example have helped others become more human in their leadership, more adept at navigating what it means to be a leader for all, and not just some. So when I was sent a copy of their new book, Hacking Leadership, I knew I wanted to read it….at some point. But a leadership book? What did I really need that for? On Sunday night, as I flew to North Dakota, I decided to glance at it, to get a feel for the book so to speak. 2 hours later, I was done with the book. Mesmerized by the amazing ideas that unfolded in its pages, I was live tweeting quotes from the book, not because they had asked me too, but because these words resonated so deeply with me that I had to share them with others. The next night I added one of their quotes to the reading presentation I was giving, ending with their words rather than my own. I am not sure how else to put this; but this book? This book will change education if we let it. What Tony and Joe have done is taken some very common problems in our schools, that seem to cross boundary lines, socioeconomic lines, and any other lines that may distinguish our schools from one another, and given us tangible solutions. Ideas that we can not only implement starting tomorrow, but also a blueprint for long-term change. They make no excuses for the roles of leaders within these problems, which as a teacher I found refreshing, and yet they do not blame, they merely point out the obvious and then offer up solutions right away. And these solutions are not long-winded plans that will be forgotten after the first day, but small “hacks” that will have an immediate effect. Sending positive notes home to a teacher’s family and support network thanking them for their support because it truly takes a village to change the world, yes please. Making 100 phone calls home to parents on the 100th day of school to highlight awesome work, yes please. Having students share the news from their school so they can shape the narrative, having students and parents as part of hiring committees even in elementary, asking for feedback more than once a year, yes please. Trusting teachers to develop learning opportunities, knowing that for many it will allow them relevant PD , but also knowing that some will still abuse the system but not letting that hinder you, YES PLEASE! The book may say that there are 10 hacks in it, but there are so many more. From the small and seemingly insignificant like making sure you speak to all staff members by keeping a checklist, to the truly groundbreaking way that Tony and Joe have empowered students, staff, and their community to be a part of their schools; this book should be required reading for all people in a leadership position, no matter their philosophy, no matter their experience. 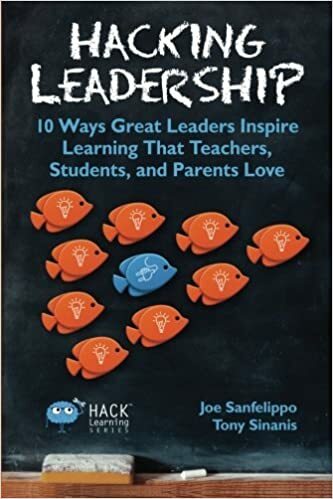 In fact, if I were a superintendent, I would order a copy of this book for all of my leaders and make it their summer read. I recommend many books as I speak, but hardly ever any PD books. 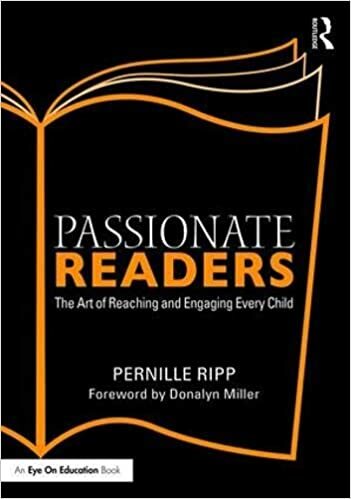 It takes a lot for me to really feel like a book is worth telling others about when it comes to how they should grow as an educator, grow as a practitioner. The Book Whisperer and Book Love are really the two books that I recommend the most, but now they have been joined by Hacking Leadership. A book I wasn’t really sure that I needed to read, but now can’t stop raving about. Read this book, pass it on, or better yet get everyone you know a copy and then try the ideas. Change small. Change big. Create a school community where every child, every adult feels that their voice matters. Follow the words of advice from Tony and Joe that I loved so much I took a picture of them to remind myself. “Not too many people wake up in the morning and say that they can’t wait to be average today.” Don’t be average, hack your leadership and see the difference. I am so grateful that this book is out there for all of us to learn from, even if we didn’t think we had much growing to do in the first place. Next postThe Leveled Library; When Is It Time to Remove the Scaffold? I love your blog and you’ve been one of my inspirations to start blogging and sharing too! 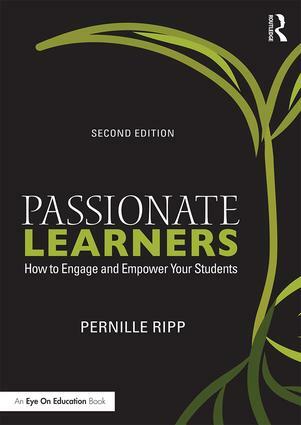 Would you recommend this book for educators in the classroom? I don’t have an administrative role in my building. Thanks for sharing! Won a copy of the and am looking forward to picking it up from my mom this summer (she lives in US so much cheaper shipping rates!) great to hear a rave review for it!! Just added to my Must-Read list! I have learned so much from Joe and Tony on Twitter. Thanks for sharing!